Jean-Paul Meningaud, MD, PhD is Professor and Head of the Department of Plastic and maxillofacial Surgery in Paris. A Fellow of the European Board of Oro-Maxillofacial Surgery, he has graduated in microsurgery and holds the HDR (postdoctoral degree authorizing the holder to direct the research of others). He received the James Barret Brown award in 2011. In 2014, He has been elected to be President of the EACMFS in 2018-2020. He is in charge of diplomas in cosmetic medicine. He runs researches in regenerative medicine and aesthetic surgery. K.-D. Wolff (Munich, Germany) researches in the area of tumor and reconstructive surgery. The aim of his research is to improve the microsurgical tissue transfer through a better understanding of anatomy and a systematic approach to flap raising. He developed the German Guideline for the treatment of oral cancer and contributed to establish perforator flaps for intraoral reconstruction. Actually, he persues the idea to use an extracorporeal perfusion system for free flap transfer in difficult cases. 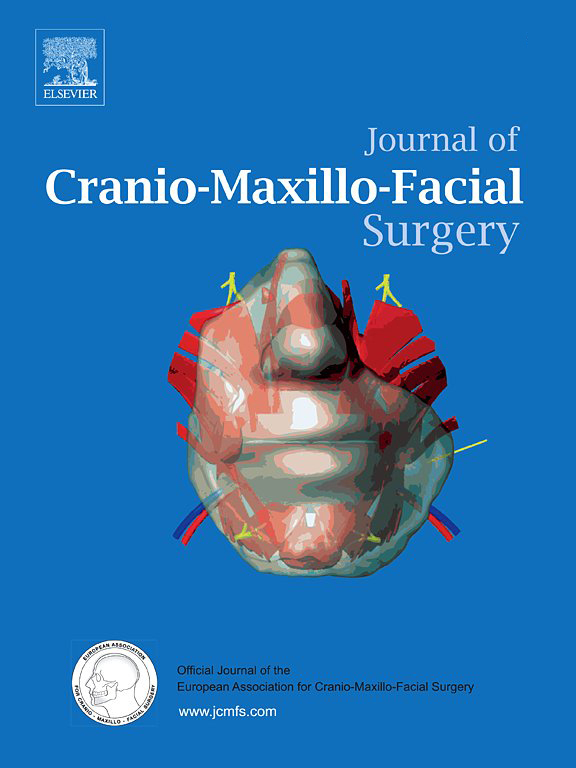 K.-D. Wolff has published more than 250 Medline-listed papers and is President of the European Association for Cranio-Maxillo-Facial Surgery 2016-2018. Prof Dr Drhc. Julio Acero is Head of the Department of Oral and Maxillofacial Surgery of the Ramon y Cajal University and the Puerta de Hierro University Hospitals in Madrid, Spain, Professor of Maxillofacial Surgery at the Alcala University of Madrid. He studied Medicine and Dentistry and obtained his PhD at the university in Madrid. Dr. Acero is a Fellow of the European Board of Oral and Maxillofacial Surgery and Fellow Ad eundem of the Royal College of Surgeons of England as well as Member of the Spanish National Academy of Dental Sciences . Honorary Professor at the University of Ferrara (Italy), the University of Belgrade (Serbia) and the University of Bucharest (Romania), Visiting Professor at the University of Florida in Jacksonville and the Vanderbilt University (USA) and Doctor Honoris Causa (University of Iasi, Romania). Honorary Member of the OMFS Societies of Argentina, Australia and New Zealand, Bulgaria, Croatia, Greece, Italy, Turkey and Macedonia. Dr. Acero was the Education and Training Officer of the European Association of Cranio-Maxillofacial Surgery, currently President Elect of the European Association and President of the International Association of Oral and Maxillofacial Surgeons. Past-President of the Spanish Society of Oral and Maxillofacial Surgery. European Clinical Network Member: EUROCRAN and ORPHANET. Associations: EACMFS, SILPS, SICMF, IAOMS, ISCFS. Emeka Nkenke is Professor and Head of the Department of Oral and Maxillofacial Surgery of the Medical University of Vienna, Austria. His clinical fields of expertise are craniofacial surgery, cleft lip and palate surgery, orthognathic surgery including distraction osteogenesis and reconstructive surgery with a focus on microvascular flaps. Emeka’s research interests include tissue engineering, biomaterials, molecular biological markers, virtual surgical 3D planning and advanced methods of e-learning. Based on the citations of his work in international journals Emeka has gained an h-index of 40. Nicholas Kalavrezos is a Head and Neck Reconstructive Surgeon and the Lead Clinician in the Head and Neck Centre at University College London Hospital with a background in Oral and Maxillo-Facial surgery. He is also the Lead Head and Neck Sarcoma Surgeon for the London Sarcoma Service. His clinical practice includes major surgery for the head and neck with a special interest in bone sarcomas. Mr Kalavrezos’ research interests include applications of “tissue engineering”. He is a founding member of the “Centre for Reconstructive Surgery” at University College London. He holds a Senior Lecturer post at the same Institution. He has joint research projects in the Nanotechnology Lab of UCL on “tissue engineered bio-scaffolding” aiming to replace defects of the head and neck with tissue–engineered based micro-vascular flap reconstruction. Head and Chairman, Department of Oral and Maxillofacial Surgery at RWTH Aachen University Hospital. Co-author of 2 Textbooks, more than 500 International Publications, Scientific Posters and Oral Presentations. Organization and Performance of more than 75 Congresses, Workshops and Training Courses in the field of Oncology, Reconstructive Surgery, and Dental Implantology. Native in north France, Sylvie TESTELIN trained in the Department of Maxillofacial Surgery in AMIENS and has been part of Professor Bernard Devauchelle’s team since 1990 with the same interest in the scope of the speciality but particularly reconstructive surgery.Having become a Professor in 2002, she is involved in all training and courses in France and also in Europe. As a result of the first face transplantation 2005, she has been invited to give conferences all over the world on transplant and all reconstructive surgery subjects particularly on secondary cases. She belongs to many transversal scientific societies in FRANCE and EUROPE on the same subject: cancer, transplant, malformations, microsurgery. Her research interest is focused on reconstructive innovations, imaging, tissue engineering and all other fields on social and human sciences (ethics, history and art). Prof Testelin has participated in the EACMFS Executive Committee since 2008 and is in charge of networking on research subjects.